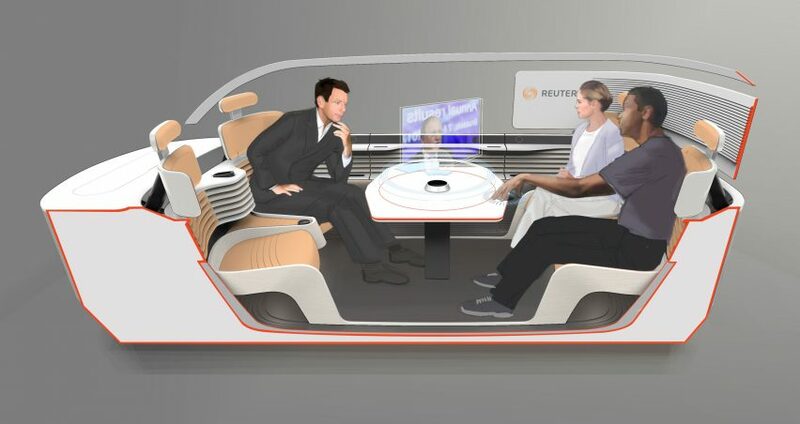 In a year that saw Donald Trump brand journalists “enemies of the people”, Royal College of Art graduate Armin Peters created a concept car that provides members of the press with an impenetrable space to work and conduct interviews. The Signal car was designed by Peters as a “mobile meeting room” for journalists, as they face growing pressures and concerns about their security and privacy. Press freedom has been a hot topic this year following the inauguration of Trump, who banned journalists he didn’t like from his media room and recently appeared to condone attacks on reporters via a video he shared on Twitter. The US is currently ranked 43rd on the Press Freedom Index, where North Korea, Eritrea and Turkmenistan appear at the very bottom. Peters, who graduated from London’s Royal College of Art this year, noted that “NSA revelations, hacks and identity theft have left seven in 10 people in the UK concerned about their privacy”. Specifically looking at those working in the media, he found that 39 per cent of journalists in Europe suffer targeted surveillance. 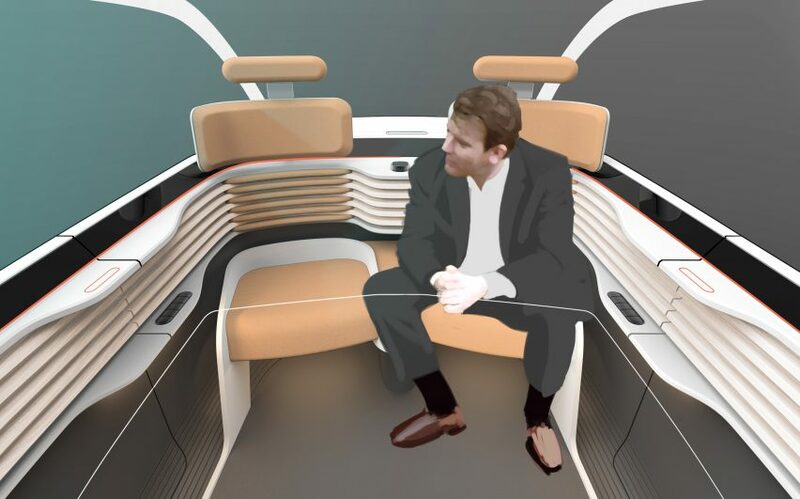 With this in mind, the designer created a mobile space that allows them to carry out their work in a protected environment – taking into consideration both the comfort of the interiors and the technology that they would need. 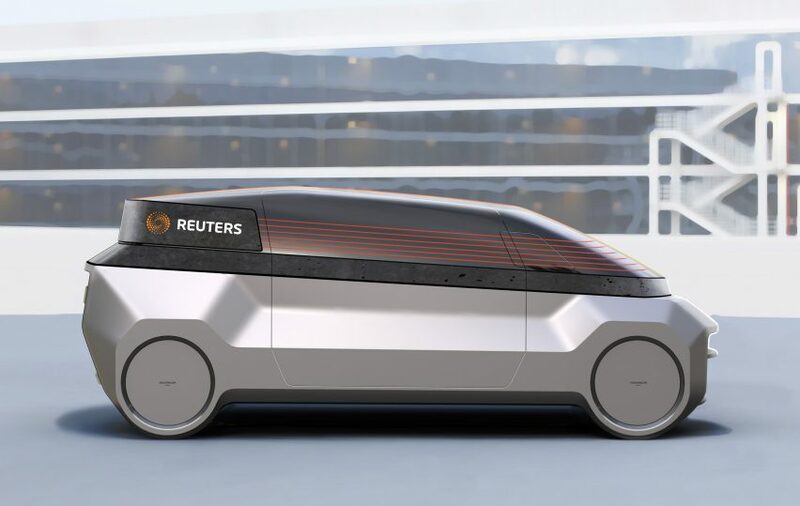 The car is made in two parts: the bottom section contains its self-driving capabilities, while the top section acts as a Faraday cage, blocking Wi-Fi and cellular signals. 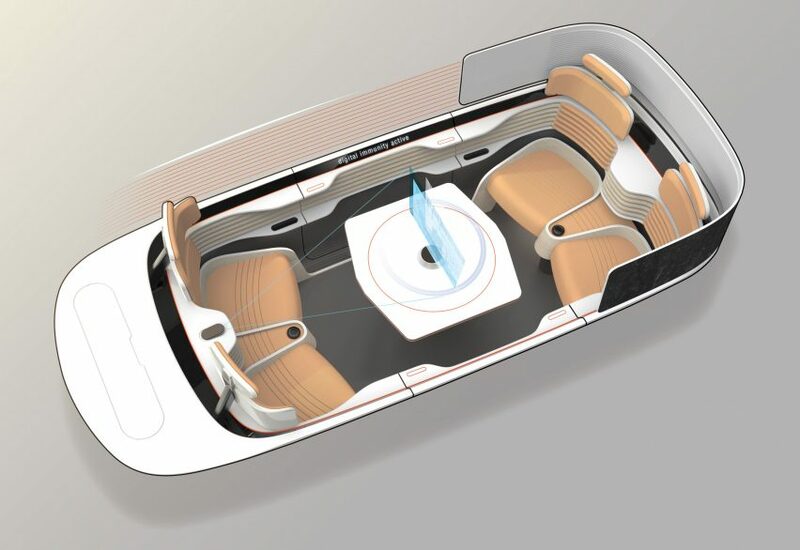 The interior is designed to evoke the feeling of being around a round table. A 3D projector is placed in the centre, and journalists and sources sit across from each other to encourage conversation. The designer opted to use calming colours and materials to decorate the interior. A wooden structure surrounds seats, which Peters describes as giving the impression of “sitting in a nest”. “The interior space promotes openness and trust in interviews,” he said. This year’s Royal College of Art graduate exhibition ran from 24 June to 2 July at the school’s Kensington campus in London. 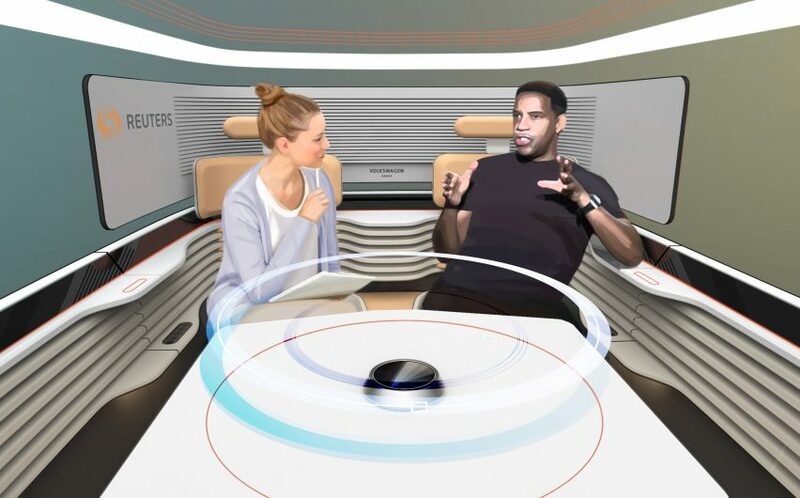 It included everything from wearable pods that let musicians compose tracks as vibrations to a furniture system designed to combat waste by extending the life of objects.